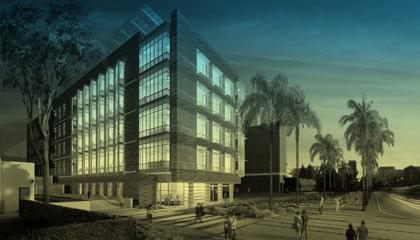 Innovation Node-Los Angeles (IN-LA) is a collaboration between USC, UCLA, and Caltech focused on teaching entrepreneurial scientists, from all fields of Life Sciences, Engineering, and math sciences the skills needed to bring proprietary technology to market and improving the odds of startup success. UCLA innovators can apply for the NSF I-Corps Teams program which provides funding of $50,000 for extensive market and commercialization proof-of-concept work around the team’s technology. IN-LA provides tiered programs in the Lean Startup methodology as developed by the National Science Foundation I-Corps program, and focuses on hypothesis-driven business models and broad customer discovery. This program teaches NSF grantees to identify valuable product opportunities that can emerge from academic research, and offers entrepreneurship training to participants by combining experience and guidance from established entrepreneurs through a targeted curriculum. IN-LA is part of the NSF I-Corps National Innovation Network which encourages American colleges and universities to promote engines of innovation that operate in close partnership with industry across numerous disciplines. This Network is comprised of I-Corps Nodes and I-Corps Sites that will work cooperatively to build, utilize, and sustain the national innovation ecosystem.I-Corps Teams (researchers, student entrepreneurs and business mentors) participate in the I-Corps curriculum, which is administered online and at on-site activities through one of several I-Corps Nodes. UCLA I-Node which is housed in Henry Samueli School of Engineering and Applied Science (HSSEAS) provides on-site curriculum and sponsors teams for the $50,000 grants. UCLA I-Site is housed in Anderson School of Management and grants approximately thirty awards annually in the range of $1,000 to $3000. The I-Site awardees can proceed to the next level and apply for the $50,000 grant through UCLA I-Node. The National Science Foundation’s (NSF) I-Site at UCLA Anderson School of Management is to help faculty and students perform customer discovery to find out if their innovation has commercial potential. 1- Approximately thirty grants will be awarded to individuals or teams annually in the range of $1,000 to $3,000 to support customer discovery. Site team ideas or projects can originate from a variety of sources including student work, research, institutional or industrial projects. To be considered for the UCLA I-Site program, the topical focus of a project must be in an area(s) of science, technology, engineering or mathematics (STEM) normally supported by the NSF. The “Entrepreneurial Lead” can be a Post-Doctoral scholar, professional staff, student, with relevant knowledge of the technology and a commitment to investigating the commercial landscape surrounding the innovation. The “Academic Lead” will be responsible for overall project management. The Academic Lead must have an academic appointment that normally qualifies them to submit proposals. The “Industry Mentor” will typically be an experienced or emerging entrepreneur with proximity to the institution and experience in transitioning technology out of academic labs.